Some say your previous cat chooses their successor. If so, what in cat heaven’s name was Helen Brown’s beloved Cleo thinking when she sent a crazy kitten like Jonah? While dealing with her own mortality and rebellious offspring, Helen learns that cats and daughters don’t always come when they’re called. 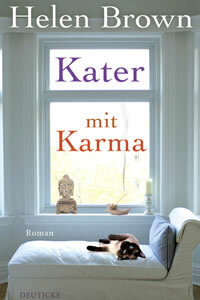 An intimate memoir about one woman and her relationships with her cat and her family. How do you deal with planning a wedding, being diagnosed with breast cancer and having a daughter who wants to become a Buddhist nun all at the same time? You get a high-strung, high-maintenance new kitten. Or at least this is how best-selling author Brown (Cleo; The Cat Who Mended a Family, 2010) coped with the stresses of her life. Meanwhile, her daughter needed time and space to find her own identity in a Sri Lankan monastery. The author writes eloquently about the bonds that exist between women of all ages, as she criss-crosses the path between caretaker and needy patient. 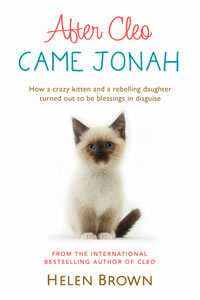 Woven in between are the antics of Jonah, the new kitten whose existence in the house was questioned from day one; “Jonah hesitated for a moment, as if considering the invitation,” she writes. “But he narrowed his eyes and took flight like a trapeze artist, launching himself through the air to land of top of the kitchen dresser….What I hadn’t counted on was a berserk kitten hiring himself on top of the upper cabinet. The glasses trembled ominously as he struggled to find his balance. The author amiably recounts the ups and downs of owning a cat and integrating the animal into her life. 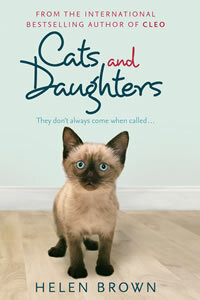 For cat lovers, a pleasant and moving story of love and identity among mothers, daughters and felines. Don’t you love it when a book you dearly loved has a sequel? 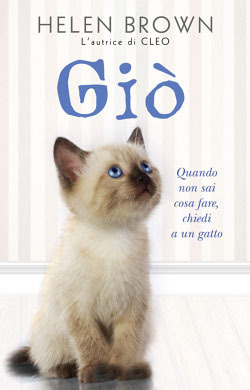 As a crazy cat lady in the making, I lapped up everything about Helen Brown’s first feline-related book Cleo: How an uppity cat helped heal a family. It’s the true story of how a little black kitten came into her life after her nine-year-son Sam was tragically killed in a road accident, in front of his younger brother Rob. Spirited, regal Cleo was the tonic Helen and her family needed: her kittenish antics and unwavering companionship see the Brown family through their heartache and many more years of ups and downs too. So you can imagine my utter glee when I discovered there was follow up. 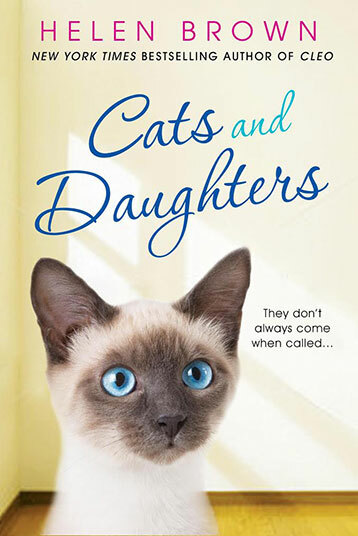 This one picks up where the first story left off, with Cleo having recently passed on and a vehement Helen rejecting all notions of getting another cat – ever. I have always assumed love at first sight was a human-to-human thing, and not something that could occur between a middle-aged woman and a Siamese kitten. But in those few seconds I’d become enraptured. At some sub-cellular level that kitten and I belonged together. To seal the deal, the sleek and athletic kitten is named Jonah, in homage to our great All Black winger who was hitting the headlines at the time and also to appeal to her rugby mad but not so fond of cats husband, Philip. Jonah quickly establishes himself as a madcap dervish who wraps the entire household around his little chocolate paw. His antics (and trail of destruction) are the perfect foil for the myriad of stresses Helen faces on top of her recuperation: organising her son Rob’s impending nuptials, trying to complete the manuscript for the Cleo book and most worrying of all, daughter Lydia’s decision to give up her scholarship at university to become a Buddhist nun in Sri Lanka. But oh what a delightful read this is! Despite the obviously painful and often trying situations, Helen fearlessly opens up about these physical and emotional hardships and is unflinchingly honest, even when sometimes it means she is cast in a not so flattering light. And then there’s Jonah. Capricious, wily, Jonah with his crazy, demanding ways and clever perceptions into his family’s needs that only a feline can have. How I loved him! And when he ends up on kitty Prozac after terrorising the house with prolific territorial spraying, his newly achieved Zen state nearly matches that of the devout and much meditated Lydia. The epitome of the bitter-sweet memoir After Cleo: Came Jonah is and every bit as charming, funny and heartfelt as its predecessor. I carried it everywhere I went in the two days it took me to read it, pulling it out whenever I had even just a spare moment or two – that to me is the mark of a great read. And just as Cleo placed a little paw print on my book loving heart, Jonah did too – in his distinctly more energetic and rambunctious way of course. A warm, wise and often funny account of the highs and lows of mother-daughter relationships, the impact of a potentially life-threatening illness, and an often kooky – some might say deranged – cat called Jonah. I can’t put down “After Cleo…”, what a great read. “Cleo” has been a good seller here, and I’m sure Jonah will do even better. “I adored this memoir to the point that I could not put it down. Very well written, it captured both my heart and my imagination. Helen Brown’s biography Cleo, a heart-rending account of the death of her son and the kitten who helped her family grieve, was a word of mouth hit. Her latest release, After Cleo Came Jonah, covers another turbulent period, when Brown was diagnosed with breast cancer and her eldest daughter decided to live in a Buddhist monastery in war-torn Sri Lanka. This intimate and candid book has broad appeal.